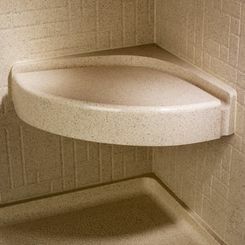 The Swanstone CS-1616-010 is a corner seat that adds comfort, convenience and safety to the Swanstone shower. This seat is made of a solid and heat-resistant material that’s a blend of polymer resins, fillers and reinforcement additives. It has a white finish and can hold up to 300 lb. when properly installed. The corner seat has a reinforced surface with compression molding that ensures durability and resistance to mold or mildew.  It fastens easily and securely to corner walls. 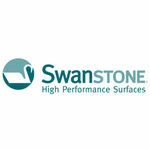 This Swanstone CS-1616-010 soap dish panel is designed for efficiency and functionality. The shower seat coordinates with Swanstone tub and shower walls, floors and accessories. It is 16-5/16” long, 16-5/16” wide and 4” high. The Swanstone CS-1616-010 soap dish panel is covered by a Limited Lifetime Warranty for residential applications and a Limited 25-year Warranty for commercial applications. Shipping Dimensions 22.0" x 22.0" x 5.0"